Dr. Richard Wender has been hired by the American Cancer Society to work in the newly created position of chief cancer control officer. Wender, the first primary-care physician to serve as ACS president, will focus on the organization's consumer and clinical guidance on cancer prevention and early detection as well as the implementation of its evidence-based cancer-control interventions, according to a news release. 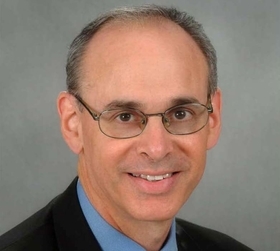 Wender, 59, is an alumni professor and chairman of the department of family and community medicine at Thomas Jefferson University and Hospital's Jefferson Medical College in Philadelphia. He has been an ACS volunteer for 26 years. While already working on his new duties, Wender will be on the job full time starting in November. The ACS said Wender's role will complement the epidemiological and translational research programs carried out by Dr. Otis Brawley, chief medical and scientific officer of the ACS. And, together, they will provide expertise across the cancer-care continuum of prevention and early detection to scientific discovery, treatment, cure and end-of-life care.